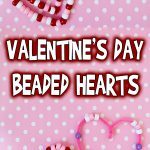 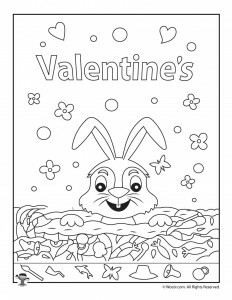 Last week we added a whole set of brand new dot to dot puzzles for Valentine’s Day and today we’re adding another fun new activity for the day honoring St. Valentine! 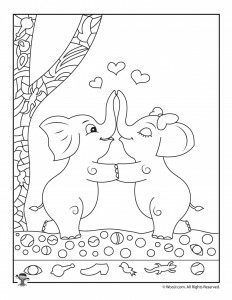 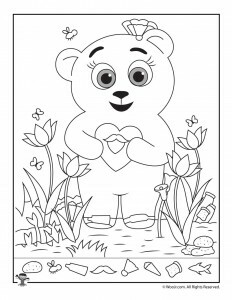 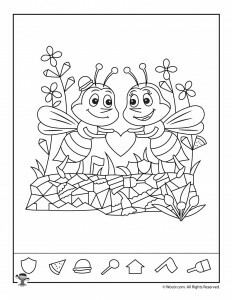 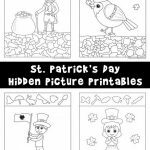 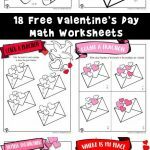 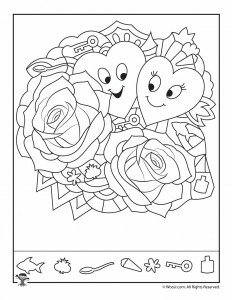 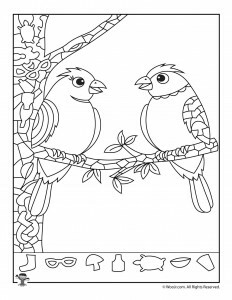 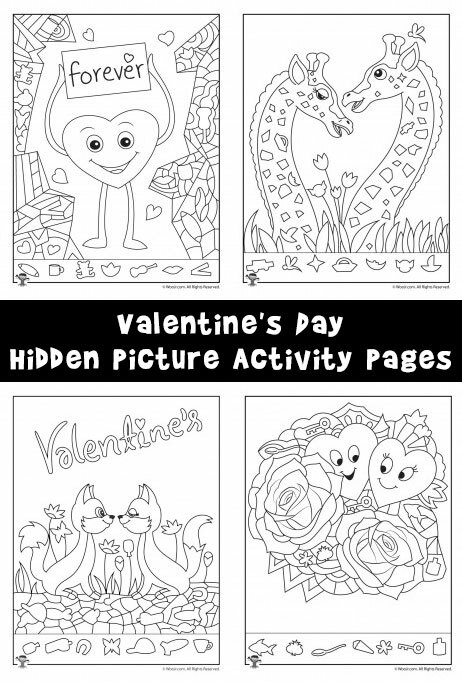 These Valentine’s Day hidden pictures activity pages are super adorable and free to print! 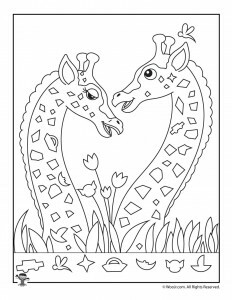 There are hearts, animals, and flowers – I think the two giraffes in love is my favorite one. 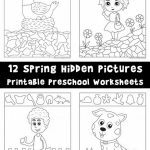 These are great for preschool and kindergarten aged children to teach them to identify shapes, become more observant, and to develop attention to detail skills. 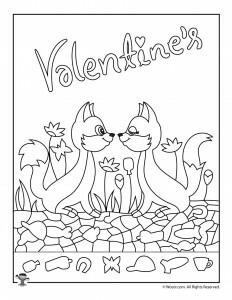 Plus they double as Valentine’s Day coloring pages! 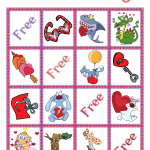 You can expand these find the item activity pages into a more in depth lesson by asking your students to color certain items in certain colors, in a certain order, or in different ways. 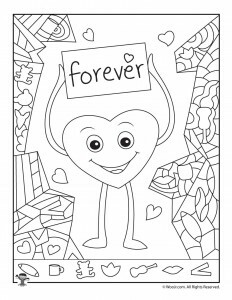 Different ways could be to “draw a circle around the butterfly shape, draw a square around the guitar shape, etc.” Alternatively, you can print these out on card stock and hand them out as Valentine’s Day activity / greeting cards!